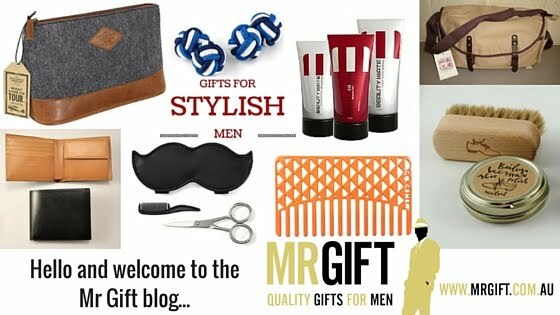 April is Mr Gift's Home Month. This month we are focusing on ways to improve the space around you at home - in your house and garden. As colder winter days drive us indoors, we reckon April is a good time to ensure your home is your sanctuary, so you can truly relax and enjoy the time you spend there. This might be realised through a bit of redecorating, moving things around, or just having a good old tidy up. Various studies have proven that the space around us impacts our mood, so we're looking forward to sharing lots tips and tricks to whip your home into shape this month. Hopefully by the end of the month your house will be so alluring you'll look forward to coming home at the end of the day...in fact, you won't want to leave! The first step to a harmonious household is a good old clean-up. Here is a great 'cheat sheet' to pop on the fridge and keep you focused on the main jobs. Clean out one draw, cupboard or shelf somewhere in your house to keep on top of accumulating clutter. This gets you into the habit of clearing out things you don't use regularly, and reminds you of the things you have so you can use them. Always keep a bag for the charity shop somewhere that you keep adding things to. When it's full drop it off and start another bag. Wipe the main shelves in your fridge, especially just before you go grocery shopping when the fridge is empty. Do your ironing - pull out 5+ outfits for the week ahead and iron them. This also saves time each morning trying to figure out what to wear. Vacuum behind the beds/under furniture. This is one I always forget and it's amazing the amount of dust that accumulates there! 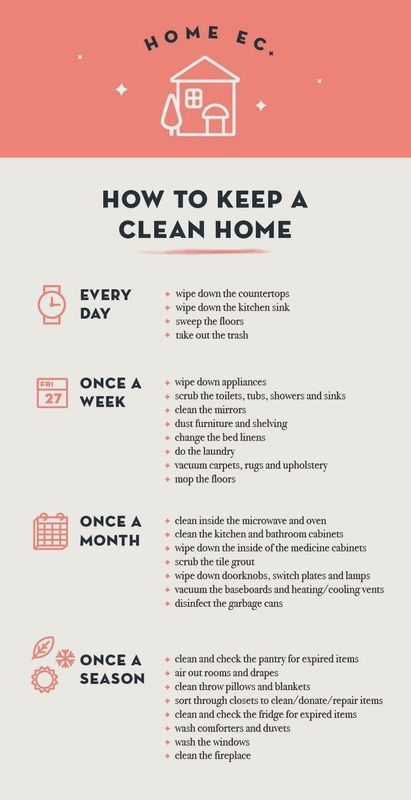 What are your top cleaning tips?